Located directly opposite the beach, the Nova Lodge Hotel boasts a fabulous location overlooking the ocean! 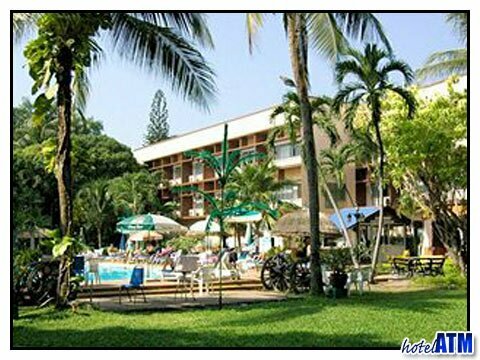 It was established in 1964, and although it was known as a different name back then, it was Pattaya’s first hotel. Now you can experience for yourself the hotel that started it all for Pattaya! It’s a great hotel for those who are looking for a hotel with location, standard hotel facilities and good value for money. The rooms itself are equipped with everything you need for a comfortable and pleasurably stay. All the amenities you would expect in a hotel room, you’ll find in any of the 138 rooms at the Nova Lodge Hotel. In addition to the comfortable rooms at this hotel, you’ll also enjoy a selection of restaurants including the Ritz Cafe for Thai and international cuisine, the Zeppelin German Restaurant for all your favourite German food, the Gossip Bar for a cold one and of course, 24-hour room service for absolutely anything! As a guest at the Nova Lodge Hotel, you’ll also enjoy a huge range of facilities including swimming pools, tennis courts, water sports – even a beauty salon!